We're coming back to Dallas, Texas for today's worldwide fashion post! It seems as if this city has no shortage of absolutely stunning style especially for spring and summer fashion inspiration! Thursday's exceptional blogger is no other than Taylor Frosch who writes The Defined Detail! Dallas, filled with endless shops and restaurants, wasn't always her home, and Taylor was first a Florida girl who grew up with two little sisters. Having sisters luckily meant more clothes to share and therefore more outfits to make! 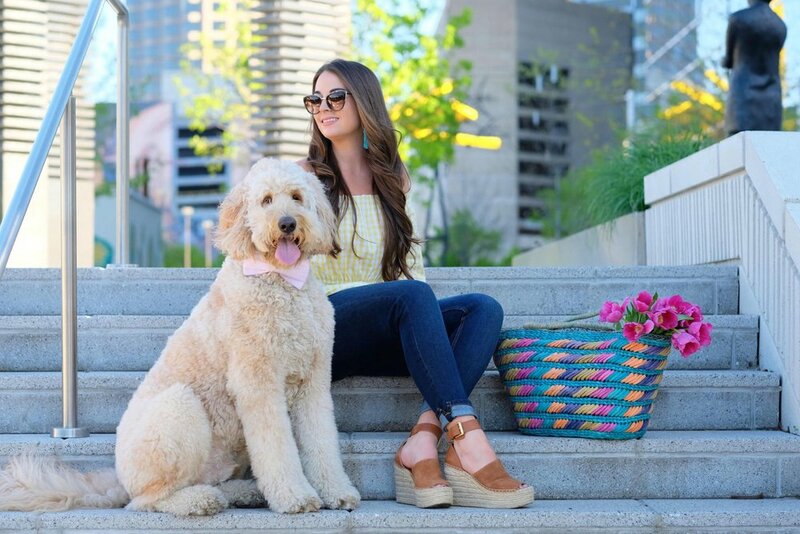 These days, she spends time with her husband as two newlyweds along with their cute Goldendoodle and Labradoodle! During her childhood, Taylor was initially home schooled which gave her a lot of freedom, but eventually switched over to private school. Here, she was required to wear uniforms limiting the crucial diversity and individuality of her style. Therefore, Sunday mornings before church became a treat because on this day, Taylor had the opportunity to let her creative fashion choices shine. Yet, her style eventually deserved to be shared with the world, and Taylor's stellar outfits can be found on her stunning women's fashion blog. Although it's not just limited to clothing, lifestyle posts along with reviews of beauty care products can be found too! Taylor's just began her blogging journey and wants to make it a full time occupation someday! With hard word and dedication, she hopes to make this a reality in a few years. For the time being, Taylor has already created impeccable outifts for her site that never fail to impressive. 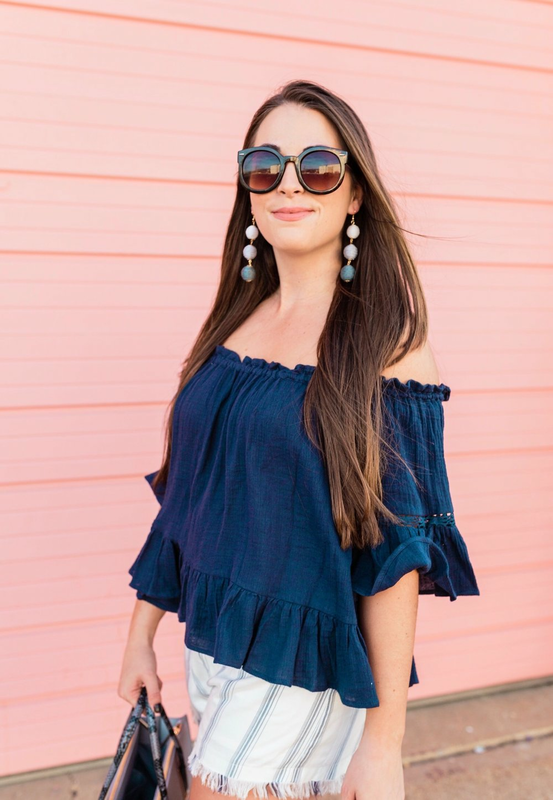 Her Dallas fashion is surely second to none rocking anywhere from a women's tan suede jacket and ladies' crochet dress to a great off the shoulder look with classic denim jeans! She's started to showcase a lot of amazing summer apparel which will definitely be priceless and desired as the weeks grow hotter and hotter. Find more details of these outfits at Taylor's site! Be prepared for your summer fashion with Taylor at her blog, thedefineddetail.com, and her lovely Instagram, @thedefineddetail!